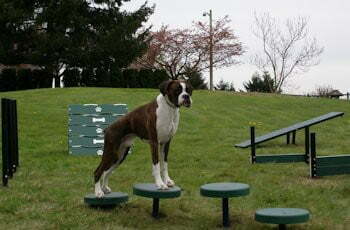 A series of circular platforms requires your dog to step or hop from the various heights. For small dog areas, the disks can be spaced more closely together with less height variation. 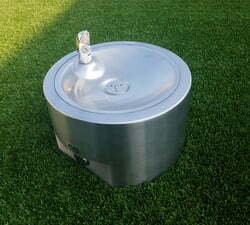 Dimensions: 13″ diameter, and recommended installation is 15″ apart. 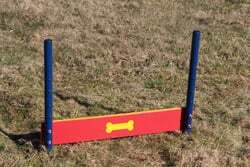 Installed height varies between 5″ and 10″ off the ground. 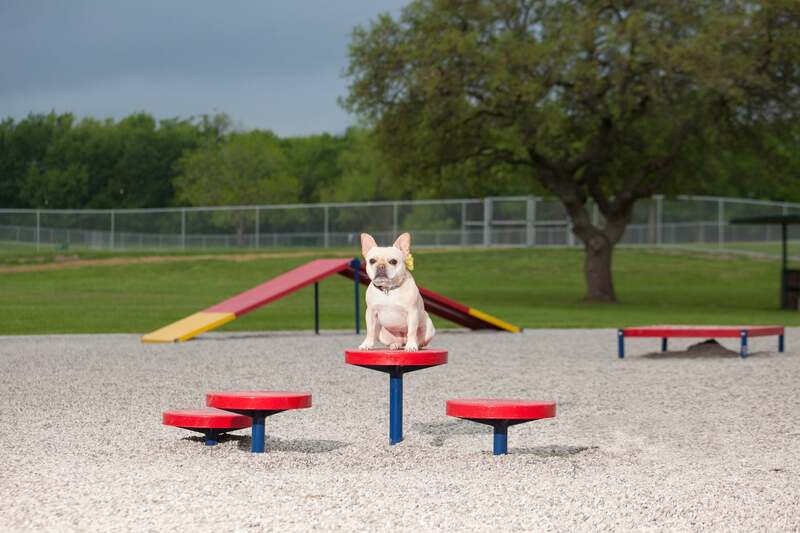 Platforms are made from heavy gauge aluminum coated with PawsGrip, an exclusive and highly textured material designed to provide maximum slip resistance for paws. All exposed surfaces are also finished with an additional polymeric top coat (PTC) for graffiti resistance and UV protection from fading. 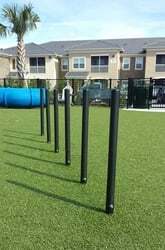 Aluminum posts are powder coated for durability.